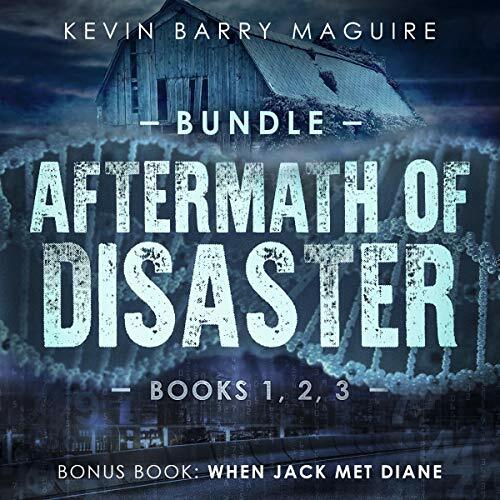 In this bundle, I've included the first three books and a short story bonus - "When Jack Met Diane". Find out how the leading characters met and started their journey together. Find out why this made best seller! The follow up to the best seller has arrived! The country is still without power and the coming winter will be brutal. Jack’s group is prepared, but how will everyone else make it through a cold winter? Summer’s End has more action and new characters as Jack and Diane expand their reach. The disaster in which Kevin Barry McGuire is a very plausible attack that could happen on American soil. The book follows a prepped and his friends as they find ways to survive in a world post electronics and infrastructure. The story was a bit rough around the edges but I enjoyed it. Generally, I'm not a fan of realistic disaster fiction but I did find that I liked the characters McGuire wrote. The narrators of the books were also a little rough. some of their narrations were a little stilted. I think it's a good story and worth a listen if you're interested in realistic disaster/post-apocalyptic stories. Relatable situations happen often. Narration flows well, though the editing needs a bit of polish. Progressively organized well. I recommend this book to ages 16 and older due to detailed violence and some language. 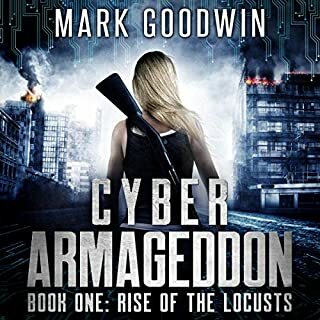 A great book by a new writer of dystopian fiction. I had not read any of the author's prior books. It seems this is his first attempt at a series of dystopian novels when I researched him. It is a very good start to what I am sure will be a promising endeavor. The story centers around a couple that had met initially while at work. They became boyfriend-girlfriend. The story kicks off while out to lunch; an event happens that will change their lives for the foreseeable future. The man had been preparing for some unknown event for a long time in Washington state. His girlfriend more or less goes along with that quirk and enjoys the peripheral activities such as archery. The story really starts after the event.He has a small cottage near Mount Rainier that they escaped to as they are unsure what has just happened to the United States. They have a small band of like-minded individuals that they are working with cooperatively she is not aware of. Along the way, they meet good people and bad people. How do they handle the events? How will they make it through the harsh winters near Mount Rainier? Where will they get food from? I was provided this audiobook free in exchange for an honest review. I liked this story a lot. I liked it enough that I wanted much more. Even though it is 3 books in one recording I found it too short. It was over too fast. I liked most of the characters. The villains could have been painted in greater detail. The narrator in book 1 was not great. Overall it's thumbs up. I will keep an eye out for more. I really enjoyed the stories. Very realistic and good story line. Would definitely listen to more in this series. I was given this free review copy and have voluntarily left this review. This was a pretty good disaster/adventure story. It is built well and had plenty of action and story line to keep my interest throughout all the books. Granted, the whole thing is 5.5 hours, so each book is not very long by themselves. If you like a good surival story with a decent narrator(s) this is a viable choice. I'd be open to more by this author. 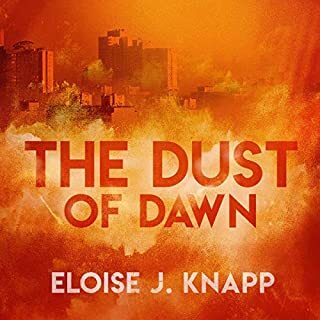 I highly recommend this Audiobook and series. Now for the obligatory: "I was given this free review copy audiobook at my request and have voluntarily left this review." I have great respect or indie writers. Taking on a series has to be a daunting endeavor. This series, unfortunately, did not hit the mark for me. 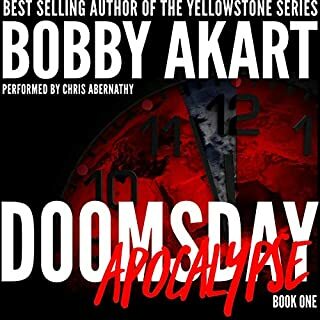 End of the World as We Know IT books are my thing and I have read/listened to hundreds of them. With that being said, there were too many implausible scenarios for me to rate it higher. If you are new to the genre, you may enjoy this. Enjoyable, I want to finish the journey! I enjoyed these books. The narrator on book one was not the best to listen to, but he was replaced and the rest was much easier and pleasant to listen to. The overall story was very good. It had a realistic story line. The main characters were very likable. I found the series so far very enjoyable and I will be looking forward to joining Jack and Diane on their journey ahead. This is, one might say, the bare bones of a story comprising three shorts, plus a bonus, strung together to form a novella. In some ways it is good: following an attack on the USA by an outside team of military terrorists, reports reach Jack and his co-workers during an out of town lunch meeting that radiation bombardment had poisoned the inhabitants of all major towns and cities. Liking to think of himself as an always prepared prepper, Jack, together with girlfriend Diane, head for the bungalow he'd held ready in the country, together with their bug out bags. Over the following weeks, Jack and his (mostly) Park ranger buddies try to keep the area free of trouble until finally deciding that the refugee population will have to fend for itself over winter. There's a bit of trouble, a few deaths beyond the many killed in the first strike (which later seems to morph into a hacking of the electrical system) and lots of talk about how few would survive the winter. All very emotionless. The book is also badly in need of an editor, sliding from third person into first for a couple of chapters and some repetition: chapters 34 and 35, Best Laid Plans, being identical. 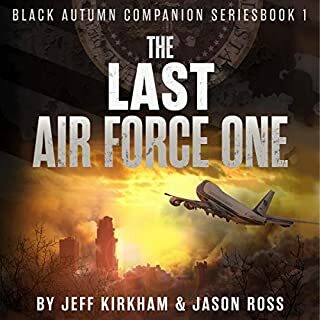 Two narrators, Kevin L.Knights and Warren Keys, the latter of these being far superior to the former, whose delivery is hesitant and slow. I increased playback speed to 1.25 which improved it slightly and, despite the slightly faster narration speed of Warren Keys, left it there without any diminution of quality. His performance gave individual voices to the characters and was much more pleasant to hear. Whilst I hate to give really poor star ratings to a book, I cannot in honesty rate Aftermath of Disaster any higher. My thanks to the rights holder of Aftermath of Disaster who, at my request freely gifted me with a complimentary copy, via Audiobook Boom. 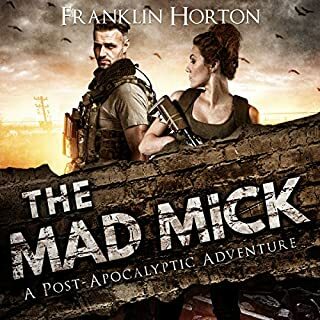 Rewritten, this could be the start of a refreshingly good survivalist story but with conflicting ideas, poorly sketched characters, tedious protagonists and bad - or non existent - editing, it really cannot be recommended. I did, however, quite enjoy the little bonus short, When Jack met Diane. 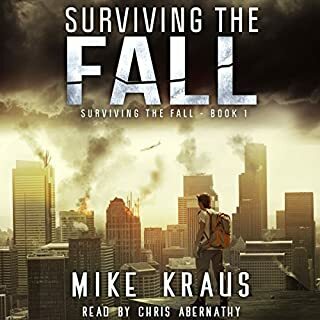 I enjoyed listening to this survival adventure. The books are well written and the stories are easy to follow. All are well narrated, although I preferred the second narrator (book 2&3) although it’s harder to distinguish his character voices because he has such a deep voice. I’m glad this was a trilogy as at about 9hrs, I find it about the perfect credit/listening time to get value for money. All in all, a good listen and am looking forward to finding out more about the overall picture and completion of the story.